Guwahati has been suffering from urban floods caused by water logging after heavy rainfall in its catchment area. The situations aggravates with the inflow of Meghalaya storm water that passes through the drainage system of Guwahati city and ultimately percolate to Brahmaputra either by gravity flow or mechanically with the help of pumping system. Although steps are being taken to mitigate the effects of and ultimately thwart the occurrence of such floods; what is urgently required is a comprehensive response mechanism which takes into account all emergency processes under one umbrella, and all stake-holders under one control. In this regard, it may be cited that the experience the world over is that a prompt, well-coordinated andeffective response to any disaster not only minimizesloss of life and property but also facilitates early recovery. National Disaster Management Agency has developed and adopted the Incident Response System (IRS) for disaster management – a novel methodology based on the Incident Command System (ICS) of the United States. 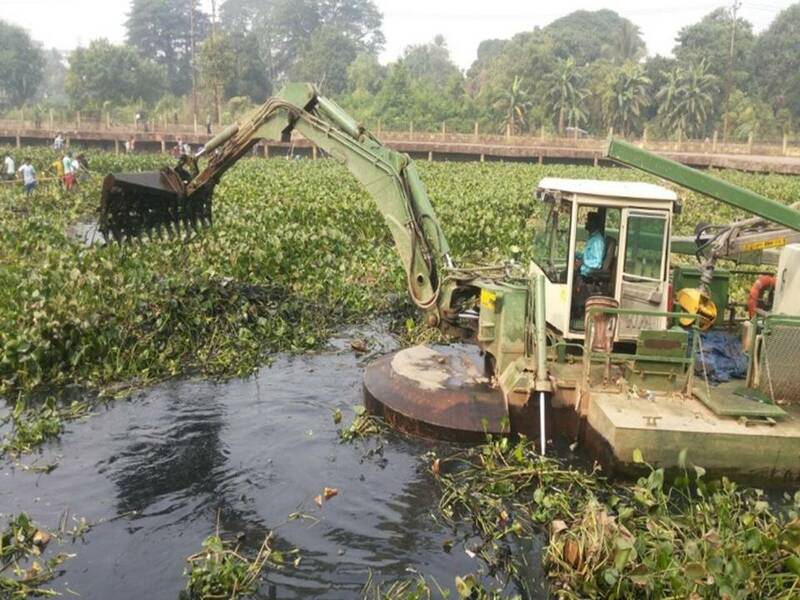 Implementation of Water Body (Preservation and Conservation) Act 2008 and development of water bodies in and around Guwahati city to increase the retention capacity has been taken up by GMDA which shall significantly address the urban flood mitigation. GMDA is constructing alternate storm water drains for diverting the storm water away from the city to effectively minimize the water logging in the low lying areas of the city. GMDA has also installed 18 Automatic Weather Stations (AWS) around Guwahati city in consultation with NESAC and funded by ASDMA. GMDA has procured and installed 20 Auto priming MF Pumps to draw water from vulnerable inundated areas of Guwahati city. The pumps placement and operations are now looked after by GMC. with the help of fleet of machineries for the year 2017-18 97.77 1. 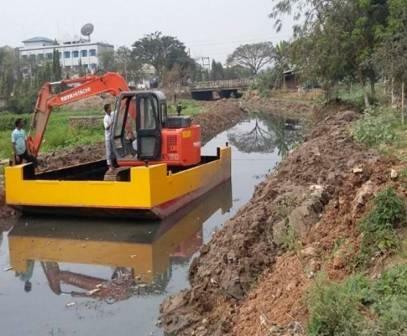 Amphibian Dredger, Big Float.- 1 No. 2.Amphibious Excavator, JS-205 – 1 No. river Bharalu Near ASTC Central Depot. 228.32 Tender process is completed.